This post contains affiliate links. I only share products that I love and think you will, too! You guys, I cannot believe it's July already! I feel like this year is just flashing before my eyes. One thing that I love about a new month is I look at it like a fresh start and a new beginning. 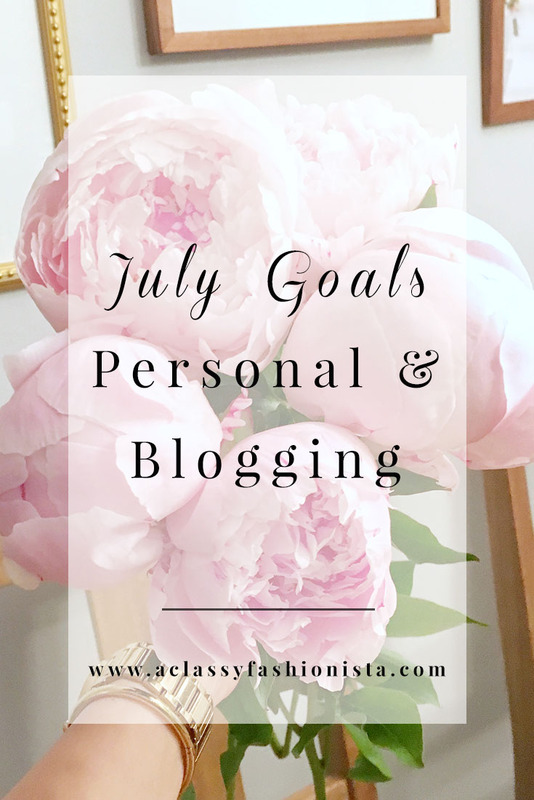 If you're new to the blog, every month (sometimes every two months), I will go through my goals for the month, both personally and for the blog. It helps keep me on track with where I want to grow, and I also love hearing about what you are striving for as well! CHECK! My parents and in-laws came over for dinner, and it was the cutest dinner party ever. We had caesar salad, stuffed shells, and homemade garlic bread. Then, for dessert, we had cheesecake bites and apple pie & ice cream! Totally did not do this at all. I still have a closet full of clothes waiting to be sold. If you like gently used designer & super cute clothing, be sure to check out my Posh closet >>> click here! I've definitely been saving some money... but not quite enough to put towards student loan debt. I am SO close you guys. I just hit 1200 this week, so I'm hoping to hit 1500 by the end of July. Follow along with me >>> click here! SO close on this goal, too! I'm currently right at 170--only 30 more to go! You can like my ACF page>>> here! Check, check, check! I am so proud of myself for staying consistent with this for two months running. If ya missed any blog posts from last month, grab a cup of coffee and get caught up! In case you didn't know this about me, I used to ride and jump when I was younger. I haven't been on a horse since 2008 (i think? ), so it would be amazing if I could get back on. I take the girlies that I nanny to ride their horses every day, and I fingers crossed will start riding again this Summer. Ever since we've been married, I don't think I've cooked but one meal for Chris. I really want to get better at this, especially since I get home by two in the afternoon. I have plenty of time to attempt to make dinner. A lot of my friends have moved away or are planning to move away from where I live, and it makes me so sad. But this just means that I get to go on fun little road trips to meet up with them, and it forces me to make new friends! I'm SO close to hitting my goal--I know I've had this as my goal for like the past three months, but follow/unfollow is real my friends, and it's the worst. Hopefully, with the new strategies I've discovered, my following will genuinely increase this month. In June, I started pitching to brands and I've already scored three sponsored posts! I can't believe it. If you want to read my first post, you can read it here! Keep your eyes peeled for my second sponsored post coming soon. 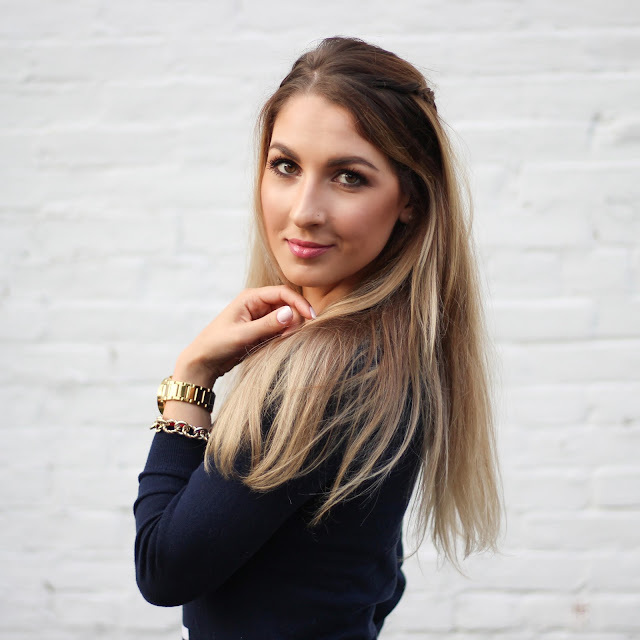 Ever since I had my blog and social media consultation with Summer @ Coffee with Summer, I have learned so many new tips and tricks for rockin' the Pinterest game. I can't wait to put all of her tips into action. So many bloggers have seen a huge traffic increase by utilizing all that Pinterest has to offer, and I am so ready for that next step! What are some of your goals for July? Did you keep up with your goals from last month?